In 2003, an appropriations bill rider required that all timber sales in the Tongass must be positive sales, meaning no sales could be sold that undervalued the "stumpage" rate, or the value of the trees as established by the marketplace (2008 Appropriations Bill P.L. 110-161, H. Rept. 110-497, Sec. 411). However, the Forest Service also conducts NEPA analyses, layout, and administrative operations to support these sales, and as such, the government does not make a profit overall. Given the guaranteed low prices during contract days and the continued high cost of logging in Southeast Alaska today, one analysis concludes that, since 1980, the Forest Service has lost over one billion dollars in Tongass timber sales. Logging operations are not the only deficit-run programs, however. The Forest Service likens the overall deficit of the timber harvest program to the many other programs the agency operates at a deficit, including trail, cabin, and campground maintenance and subsistence programs. The Tongass includes parts of the Northern Pacific coastal forests and Pacific Coastal Mountain icefields and tundra ecoregions. Along with the Central and North Coast regions of British Columbia designated by environmental groups as the Great Bear Rainforest, the Tongass is part of the "perhumid rainforest zone", and the forest is primarily made up of western red cedar, sitka spruce, and western hemlock. 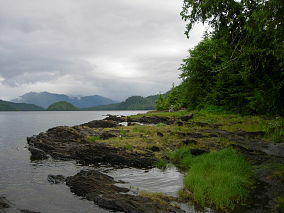 The Tongass is Earth's largest remaining temperate rainforest. The terrain underlying the forest is divided between karst ( limestone rock, well-drained soil, and many caves) and granite (poorly drained soil). Currently Sealaska, a native regional corporation created under the ANCSA is asking for an amendment to the Act that would distribute additional land to Alaskan Natives. When Sealaska was created, it was promised additional land that was unavailable at the time due to contracts with pulp mills; much of this original land is now under water or in a watershed, and consequently Sealaska has requested different land. On 23 April 2009, Senator Murkowski and U.S. Rep. Don Young introduced a revised Sealaska bill (S. 881 and H.R 2099) that requests public lands that are both economically valuable and environmentally delicate. 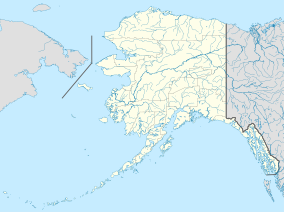 Starting with the next session of Congress in 2011, Senator Murkowski reintroduced a slightly modified version of the Sealaska Bill and Representative Don Young introduced a companion bill (S 730 and HR 1408). While HR 1408 was passed out of the Natural Resources Committee, S 730 remains in the Natural Resources Committee of the Senate.